Whether it’s as complex as a complete engine rebuild or as simple as replacing your ignition coil, you can count on Techne to help you get the job done. We give you detailed information about your repair and stay on top of all the latest recalls and service bulletins. 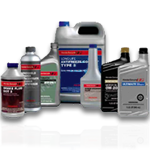 We give you the information you need so you can take better care of your vehicle. We have the necessary computer test equipment to diagnose and repair domestic and foreign cars as well as light, medium and heavy trucks. We're also are a Class A Virginia state inspection station for all cars, trucks, trailers and motorcycles. 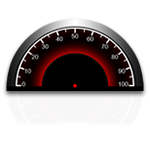 We can calibrate and repair your speedometer if that last speeding ticket was questionable. Its not unusual to see them off by as much as 5-10 MPH. There's no better way to fight a speeding ticket! Are your tires wearing out quickly? 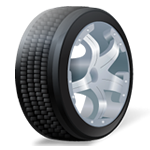 Uneven tire wear is a prime indicator that your car is likely to be out of alignment. An alignment will ensure that your car drives straight and handles properly, making your ride safer. You'll also get better gas mileage because your tires will be properly aligned with the road. Oil, Transmission, Brake and Radiator Service. Keep your vehicle at peak performance. Your car needs fluids to survive. Maintaining proper fluid levels is an essential task. It's quick, and can add thousands of miles to the life of your vehicle. 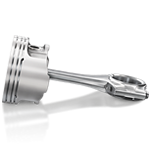 Today's engine has advanced, but there are still details that should be checked regularly. Keeping your car well maintained is the key to preventing breakdowns. Brake inspections, fluid level checks, oil changes, tire inflation checks, belt checks, and inspection of lights are all important. Having scheduled maintenance done will not only help keep the value of your vehicle high, but it will prevent problems that will only cost you more money down the road. Advanced Diagnostics Systems for FORD and CHRYSLER Automobiles. AC - Heating and Anti-lock Brakes.